Inspired by the classic masculine leather jacket, this superior insulated ski jacket developed from the 70\xB4race styles utilizes modern technology to blend performance and style and the compromise between these two is none. 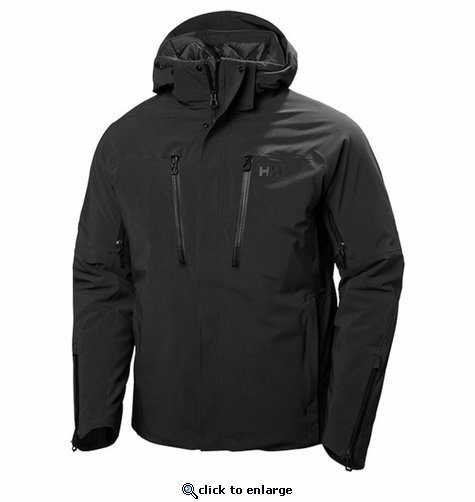 This jacket has a durable 4-way stretch Helly Tech Professional waterproof and breathable outer fabric, the inside consists of stretch lining and Primaloft insulation. To elevate your comfort the jacket features our highly innovative H\xB2Flow system turbocharging mechanical venting keeping you dry, warm or cool depending on the conditions. All needed ski features such as powder skirt and ski pass pocket is included.